Messaging services on Android devices get dinged by users for being too complex and fragmented, at least when compared to the universal app approach with Apple iMessage on iOS devices. Google recognizes that it needs to make improvements to messaging on Android devices. To that end, the company bought Jibe Mobile, a provider of Rich Communications Services (RCS). Last fall, Google committed to the RCS carrier standard for support of mobile messaging, including group chats, high resolution photos and more. RCS has been around for a long time — since 2007 — but so far hasn't won the support of more than 50 wireless carriers globally. In February, Google and 15 global carriers partnered with the GSM Association to promote further RCS adoption. With Jibe, Google is building a dedicated RCS client to run on Android devices. It isn't clear when the client will be launched, although some reports have speculated more details could be revealed in May at Google's I/O conference. Google's plan is for the RCS messaging app to be part of a new Android phone from the time a customer leaves the store, according to a Google official who asked not to be named. It will be available in older phones through Google Play and will be compatible with SMS (Short Message Service) and MMS (Multimedia Messaging Service, the official said Wednesday. Google's RCS client would reportedly bring features that are seen in third-party services like Facebook Messenger, WhatsApp, Hangouts and more. Some of the technology is discussed in an online primer from Jibe and one of the possible features is real-time typing. In addition, a user wouldn't have to find and sign up for separate accounts for different services, thereby reducing the fragmentation that has irked some Android customers. In the February announcement describing the partnership with the GSMA, Sprint was the only U.S. wireless carrier listed as wanting to accelerate the availability of RCS. Last July, T-Mobile also announced support for RCS with Advanced Messaging. AT&T and Verizon are reportedly interested in RCS, but haven't announced any specific plans. Google is talking to various carriers about joining RCS but isn't ready to name more, Google said. The advantages of RCS to users would be convenience and more features than they can find by using SMS, which is still widely in use. Wireless carriers, meanwhile, could use the standard to compete against individual third-party messaging apps, often referred to as Over-The-Top (OTT) apps. "Google got on board with RCS and Jibe because they were losing to OTT and were losing with Hangouts anyway, so RCS is another way to take another shot at the messaging space," said Steve French, global vice president of product management at OpenMarket, a mobile messaging provider to enterprises. Since Android is estimated to run on 80% of the world's wireless phones, having a common messaging app could help Google gain a stronghold in the mobile messaging market, French said. Google’s RCS app won't replace the Hangouts app, according to the Google source. The RCS app will be separate from both Hangouts and Google Plus. A report that circulated in December and was first posted by Phandroid, said that Hangouts would lose its SMS and MMS functionality. But Google wouldn't confirm the report. JR Raphael, author of Computerworld's Android Power blog, described himself as a heavy user of Hangouts for messaging with other people. Hangouts is "useful, especially as a subscriber to Google's Project Fi service, which allows you to use Hangouts to access all messages, including SMS, from any device or platform," he said. "But I've also grown frustrated with Google's divided attention to the messaging domain and the often-slow progress on Hangouts that results from it ... 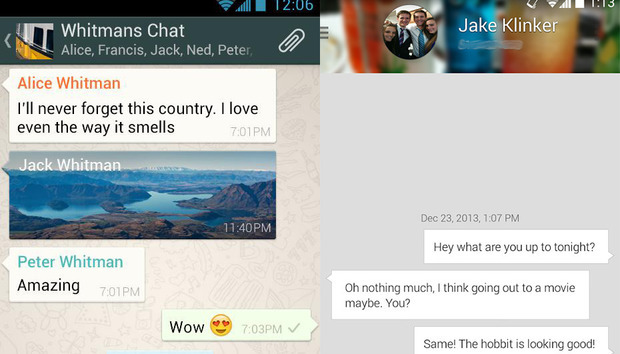 I wish Google would settle on a single messaging client already." The Jibe acquisition and RCS are Google's attempts "to reduce Apple's advantage with iMessage," said Patrick Moorhead, an analyst at Moor Insights & Strategy. "The Android RCS app could conceivably run on every phone, providing high quality messaging between all Android and iOS phones." Whether Apple would ever accept RCS in a common platform with Android is questionable, however. And given that the GSM universe has about 800 carriers, Google has a big job ahead of it to achieve adoption, French and others said. "RCS has taken forever to take hold," added Bob O'Donnell, an analyst at Technalysis Research. "Google realizes they have fragmentation at numerous levels with Android and a core service like messaging is where they need to do more. RCS would bring a universal way to do services like Snapchat and Whatsapp. So, moving to RCS does make sense, but you wonder why it has taken so long." While Google describes the RCS app as separate from Hangouts and Google+, the company recently took another step perceived as an attempt to improve Google's mobile social networking acumen. The company last week announced the hiring of Christopher Poole, the founder of the controversial 4chan site, an innovator in building online communities.